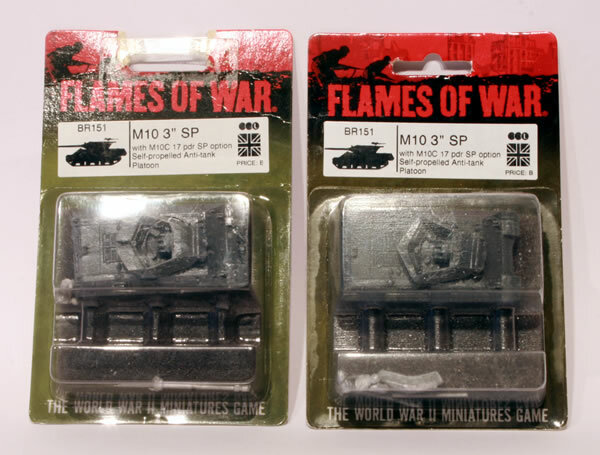 Purchased a couple of Flames of War blister of the M10. They were on sale and cheaper than normally. The 17 pounder, Self Propelled, Achilles was a British variant of the American M10 Tank destroyer armed with the powerful British Ordnance QF 17 pounder anti-tank gun in place of the standard 3" (76.2 mm) Gun M7. 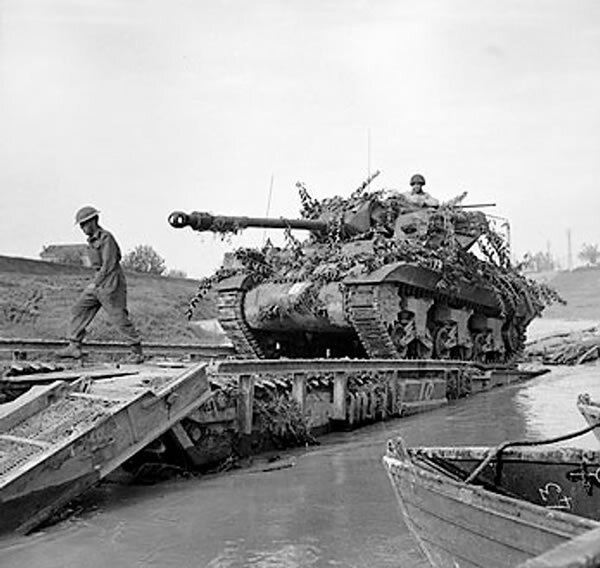 With a total of 1,100 M10s converted, the 17 pdr SP Achilles was the second most numerous armoured fighting vehicle to see service armed with the 17 pounder gun, behind the Sherman Firefly. Within each blister you get a resin hull and turret, metal parts and plastic tracks. 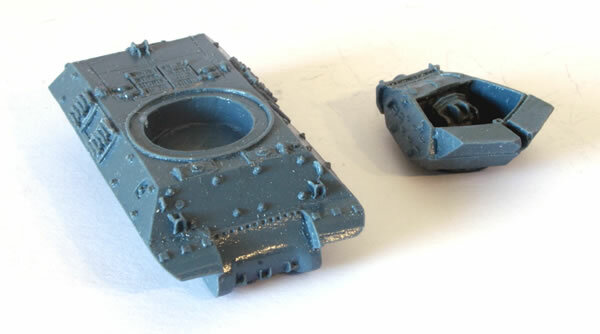 Interesting to note that though both models have the same code and were purchased at the same time from one retailer, one came with a complete resin turret, whilst the other had a turret which was part resin and part metal! The resin turret is much crisper and nicer than the metal component. They went together well, though I found it was easier to glue the sides of the tracks to the hull rather than rely on gluing the locating pegs. It was useful that each side has a different number of pegs so the silly and obvious mistake of gluing the tracks on backwards can be avoided. I decided that I would make these up as 17pdr armed SP Achilles variants and not as M10s.